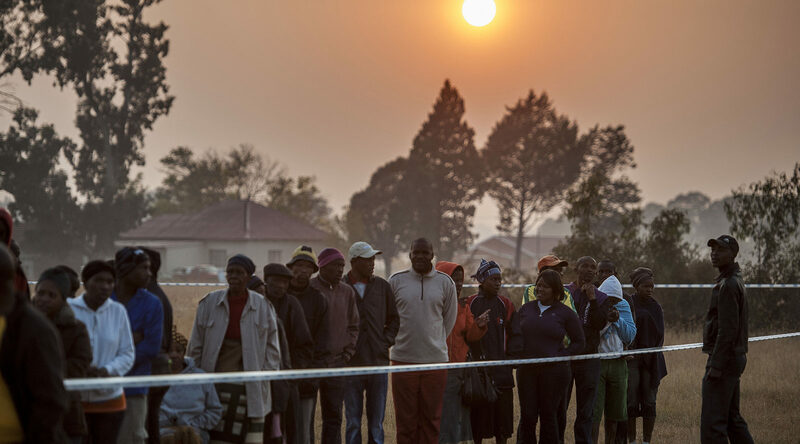 South Africans should never again have to enter a polling booth and make a decision that affects their lives without knowing who backs the parties they are going to be voting for. It should be that as a nation we are now older and wiser. If the much-vaunted Party Political Funding Bill had managed to make its way through Parliament at the pace with which the Ad Hoc Committee passed it through the National Assembly in 2017, it is probable that voters at the 2019 poll would be able to take into account matters such as which party gained and exactly how much from the VBS banking saga, before placing that crucial cross. South Africans now want to know that kind of information, post-Gupta leaks and when every day turns up astounding news about further abuse of funds, whether via the Zondo Inquiry or simply the TV. After 20 years of civil society and legal campaigning, consensus was finally reached on 28 June 2018 when both Houses of Parliament passed the Bill and sent it to the President for assent, which means his signature to proclaim it an Act of Parliament – but that is exactly where it is languishing. The word from Parliament is that the President is applying his mind. Yes, the President is a busy man and has had much to deal with recently, but may we ask, applying his mind to what? Or, put differently, like every Bill, this one went through a protracted process of compulsory public participation, committee deliberations and a vote in each house. By the time this Bill reached the end of that process, whatever could be left for anyone to still be applying their minds to? This Bill was in 2017 treated with the urgency it deserves, and there was every hope that it would be passed into law in time for the next general election. That resulted in the 1997 Public Funding of Represented Political Parties Act, which was, understandably but rather unfortunately, at the time more concerned with the funding of parties instead of the need for transparency. That Act created the Represented Political Parties’ Fund, which was to be made up from taxpayers’ money but administered by the Independent Electoral Commission. It determined that 90% of that fund was to be divided among parties according to the proportion of their representation in Parliament. The 10% balance would be allocated equally among various parties. The only mention made at that time of the need for transparency of party funding was the clause in the Act that required parties that receive public funding to submit an annual report to the IEC, which in turn would make it public. Few saw any need then for private party funding to be further regulated. One of those few was the now defunct Institute for Democracy in South Africa (Idasa), which advocated for private funding to be regulated alongside public funding. In her recent book, Turning and Turning: Exploring the complexities of South Africa’s democracy,Idasa political lawyer at the time Judith February wrote that the NGO had a sense “that party funding could have profound implications for the integrity of our political processes – although in retrospect perhaps not realising quite how profound. “Even though Idasa talked about the potential for political donations being used for corrupt purposes and for undermining the democratic process by exercising undue influence on policy and appointments, we could not have predicted the full impact that corruption would have on the future body politic and the trajectory of South African politics,” February wrote in her book published in 2018. The issue has come up regularly, and each time got nowhere. Six weeks before the 2014 national elections more than 60 civil society organisations made an open call to the biggest political parties, asking them to disclose their sources of private funding. Not one of them did. There are very few multiparty democracies that allow political party backers to be shrouded in mystery. If we have learned nothing else from State Capture, we now know that nothing is for free and he who pays the piper calls the tune. As February mentions, the matter arose again in 2017, and the Ad Hoc Committee on Party Political Funding was set up. After an extensive public consultation process and intense committee deliberations the Bill was ready to roll in record time, and it looked as if it could be law in time for the 2019 election campaign. There followed a few disappointments; the Bill sat in the National Council of Provinces (NCOP) for months during which time it held only one hearing and heard submissions from National Treasury and the Independent Electoral Commission (IEC) that there was no way this Bill would be passed into law before the end of the year at the soonest. It came as a blow when Parliament reopened in 2018 with the news that the opposition had raised last-minute concerns, but despite the unexpected return to the drawing board the Party Political Funding Bill squeezed through onto the National Assembly’s Order Paper and was voted in on 28 March. Some members of the committee continued to believe the goal was to have the law in place by the end of the year, or at least before the critical 2019 poll, but clearly it ain’t going to happen. We heard Bill Clinton who earlier this month at the Discovery Leadership Summit in Johannesburg summed it up: “Don’t screw this up.” Okay, he was talking in a different context, but when it comes to transparency in party funding, sadly it seems too late for this advice. Paul Graham, Executive Director of Idasa at the time civil society first alerted South Africa to the dangers of non-transparency in party funding, is not hopeful. He said there would have had to be clauses in the Bill allowing for retrospective reporting or to relate the first period of reporting. “Both of these have an impact on whether the Bill is efficacious for the 2019 elections even if signed into law. It should be, and the necessary regulations and institutional arrangements should be expedited,” said Graham. Lawson Naidoo of the Council for the Advancement of the Constitution (CASAC) was even more discouraging. Nevertheless, he called on political parties to demonstrate a principled commitment to what was agreed when the Bill was passed by both Houses. He asks if political factors could be at play here, despite the President’s insistence that the reasons for the delays are purely legal. While this process may have been expected to have hit a brick wall under the Zuma regime, “political priorities that informed the initiation of this process over a year ago may well have shifted during the upheaval that has since ensued”, said Law. Law also raises the point that the Political Party Funding Bill is not the only piece of legislation dealing with financial accountability that is currently sitting on the President’s desk. The Public Audit Amendment Bill, which grants considerable additional powers to the Auditor-General in the event of the improper use of state funds by public officials, has also been passed by both Houses of Parliament and has been awaiting presidential assent for several months. However, he reminds the despairing voter of the campaign that the NGO, My Vote Counts, launched in early 2015 for transparency and reform of the funding of political parties, and for making it mandatory for all parties to disclose where their money comes from. After a protracted legal battle, My Vote Counts turned to the use of the Promotion of Access to Information Act(PAIA), and when the 13 political parties represented in Parliament declined to comply, My Vote Counts applied to the Western Cape High to declare PAIA invalid and unconstitutional, arguing that the Act in its current form was not capable of ensuring that the electorate had the information it needed to vote. This was taken to the Constitutional Court and on 21 June 2018, ConCourt declared PAIA unconstitutional for its failure to provide for transparency in the funding of political parties. It gave Parliament 18 months from that date to rectify this defect – either through the amendment of PAIA or through new legislation.